…I’ve just been busy posting here and here. I have sooo many photos to sort through. Once I do that I’ll be ready to do some posting here. Happy Friday (or Pizza Day in our home)! 05 Aug	This entry was published on 05/08/2011 at 10:15 PM. It’s filed under writing and tagged blogging. Bookmark the permalink. Follow any comments here with the RSS feed for this post. Heh. I keep hoping that I’ll catch up eventually but it just isn’t happening!! Good luck with your other blogging pursuits! 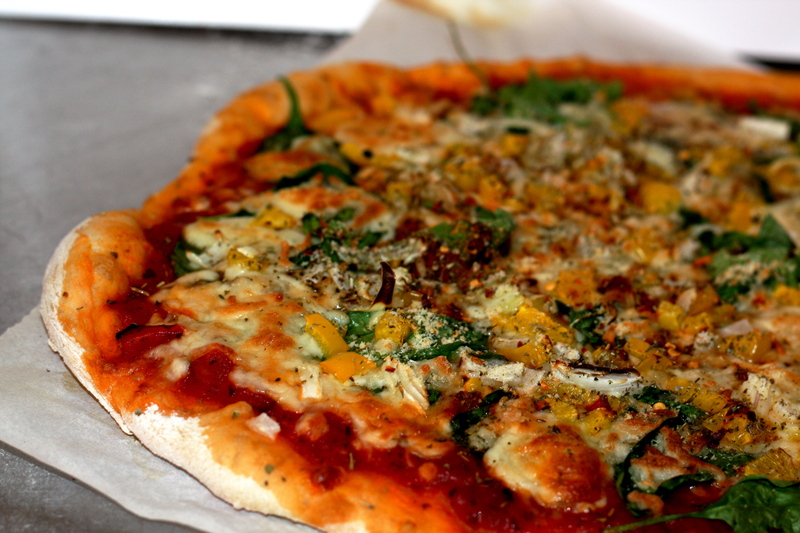 Beauty of a pizza – excellent both on the prep and photography! Thank you! We finally invested in a portrait lens and I tested it out on the pizza. The photo is great and the pizza looks soooooo yummy!